At present, people have started to focus on health and fitness ensuring to lead a stress free life for a long period. The metropolitan city boasts a number of modern day amenities and facilities such as multiplexes, shopping options, corporate companies, gyms, parks, gardens, etc. Moreover, the gym culture in Hyderabad has ushered in a trend for working out and maintaining good health physiques. 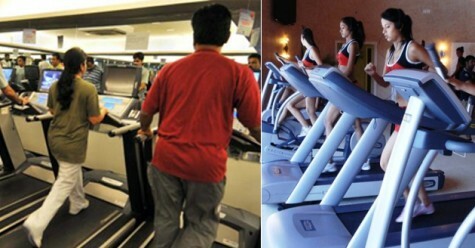 Rising fitness awareness and the number of relative options has enabled the gym business in the city a grand success. If you are really interested to get a body or a six pack ab, then it is better to step into the gyms in Hyderabad. Due to great response from customer side, many new gyms are coming up in every area of the city. The city gym officials report that they are able to achieve a profit margin of around 45% with a consistent growth of 30% in their annual income. Some of the popular gyms in Hyderabad include Latitudes Pro, Fitbuzz, Talwalkars, Pragati Sparsh, Fitness world and much more. Generally, the gyms in Hyderabad offer excellent range of services, such as cardio training, personal training, group exercises and strength training. Backed by the best executive team in fitness & spa, these fitness clubs in Hyderabad has separate jacuzzi and massage rooms for both men and women. People who are interested to lose weight have to follow few exercises regularly and they can achieve the target within a short period of time. They include running, bicycling, swimming, step aerobics, jumping rope and elliptical trainer. Most of the gyms in the city offer wonderful packages for kids, women and men suiting to their availability and body capacity. Are you eager to join in the gym? If yes, then you have to register yourself and pay the membership fees to the concerned person. The membership fees usually starts from Rs 1500 (month) to Rs 12,000 (6 months). It is always better to have a personal trainer for yourself as they would help you to get into shape in a record time. i want to know that it will be good to join yoga classes after gym? please give suggestions? If you are going for gym classes then there is no need for yoga. However, yoga is better than gym. Do consult an expert on this. thanks for giving the list of gyms in hyderabad, can you also suggest me some of the best yoga centres in the city?